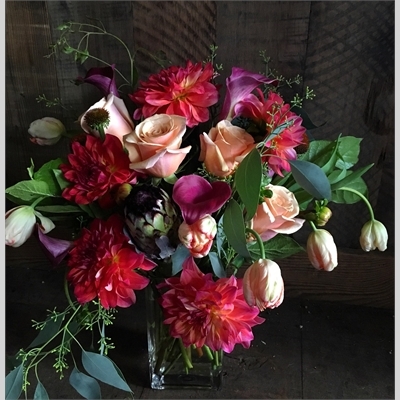 You will learn how to create stunning floral centerpieces using seasonal and local blooms. Caitlin will share secret techniques that enable you to create floral designs worthy of any event you may have. Perfect way to spend a Sunday with a friend or loved one! You will learn the essentials such as depth, texture, color and flower care. Leave the class with a beautiful arrangement and a professional photograph of your final design. Perfect for sharing with your social media friends! Please bring a pair of gardening clippers.